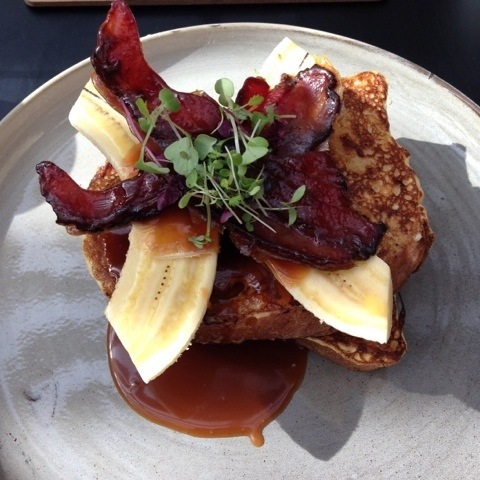 I’ve made it my mission to find the best french toast in Perth, and just for you, here are my five favourite in Perth right now! To see more as I come across them, make sure you like my urbanspoon guide. A lovely cafe off the Beaufort Street in Mount Lawley, with the best french toast I’ve tried so far. 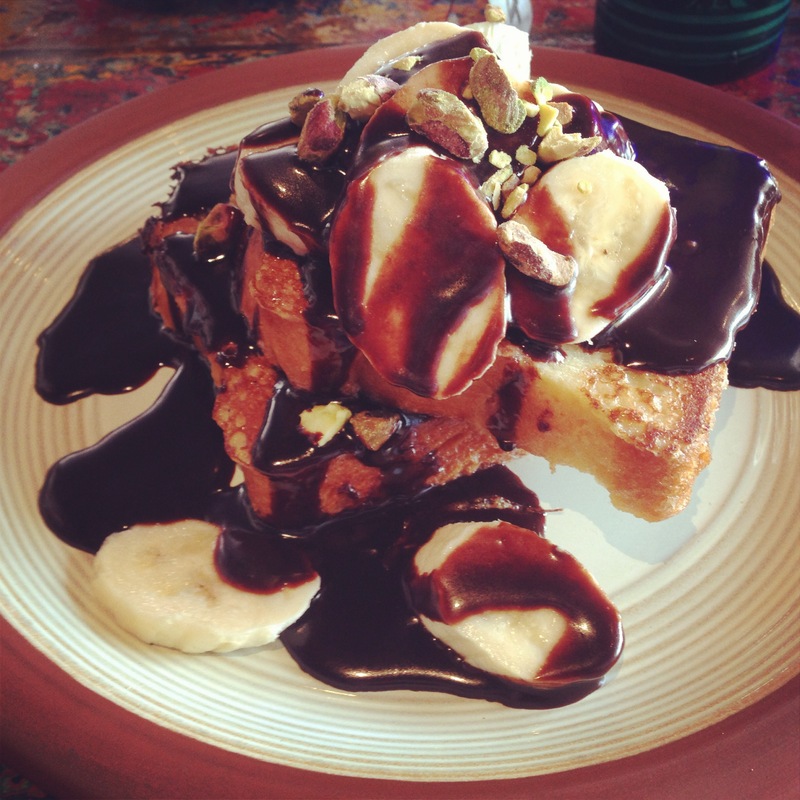 It’s just perfect, crisp and light and then smothered in chocolate sauce, banana and pistachio nuts. Please note this seems to be currently unavailable on the Fez menu! Here you’ll find a truly unique french toast. A mix of savoury and sweet, stuffed with creamed corn and topped with maple bacon, this is a breakfast you have to try for yourself! 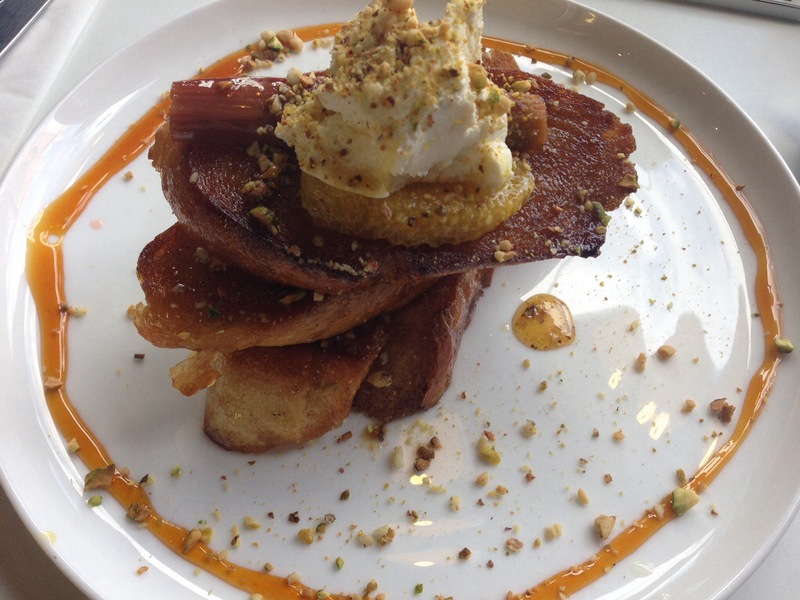 The Little Pantry do a fantastic French toast, with honey and orange flavours and perfectly crisp toast. There’s also a creamy labne, crunchy nuts and poached rhubarb. Mmm! Gusto Food do an epic mountain of french toast goodness. Topped with honeycomb, slathered in berry coulis and layered with bacon and banana, it must be seen to be believed. 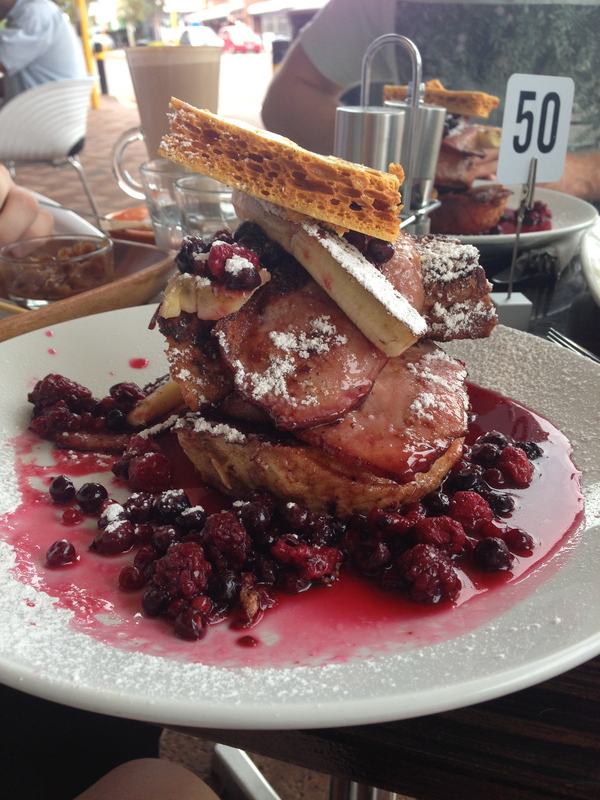 Think you’ve found the best french toast in Perth? Let me know in the comments! 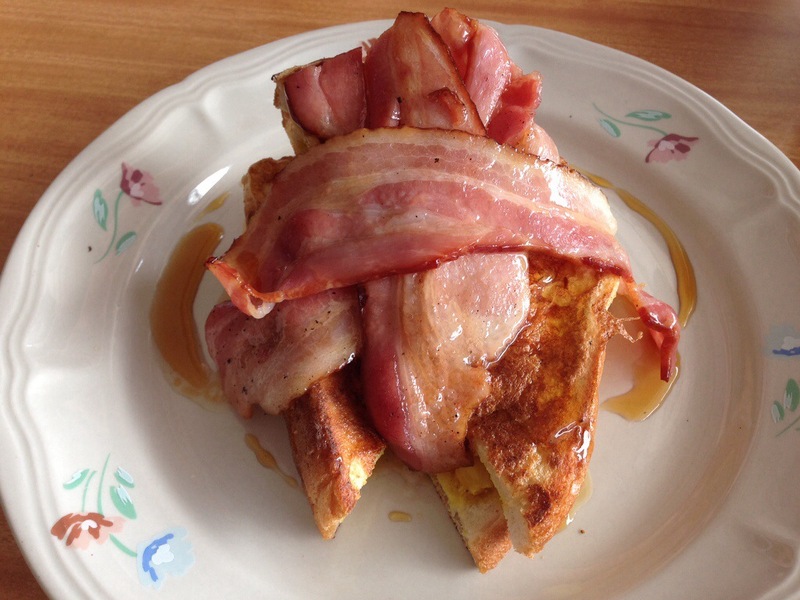 As an avid lover of all french toast, I was so happy reading this post! I think my favourite one of all time is the one @ Typika, but I’m still scouting around to see if there are any out there that match its glory ;). Has it been removed from a new menu change? Was still great food just no french toast….